Sniper Cycling is a Belgian professional cyclocross and road cycling team led by two-time Cyclocross World Champion Wout Van Aert. The team has selected three key products from Wahoo’s ecosystem to support their training and racing efforts: the Wahoo TICKR Heart Rate Monitor, the Wahoo ELEMNT GPS Cycling Computer, and Wahoo’s award-winning KICKR Smart Trainer. Sniper Cycling uses the TICKR Heart Rate Monitor, for measuring race-winning efforts and heart rate training. 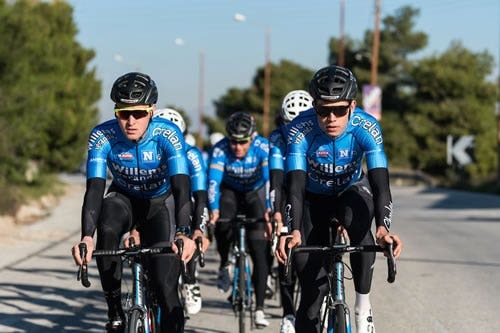 "We’re proud to partner with Wahoo, who not only aims to achieve best-in-class products for every category, they are just as committed as we are to facilitating the personal and professional development of elite athletes,” - Sniper Cycling co-founder Nick Nuyens.